When Scott initially asked Carolyn to be his girlfriend, they were at a Zac Brown Band concert. 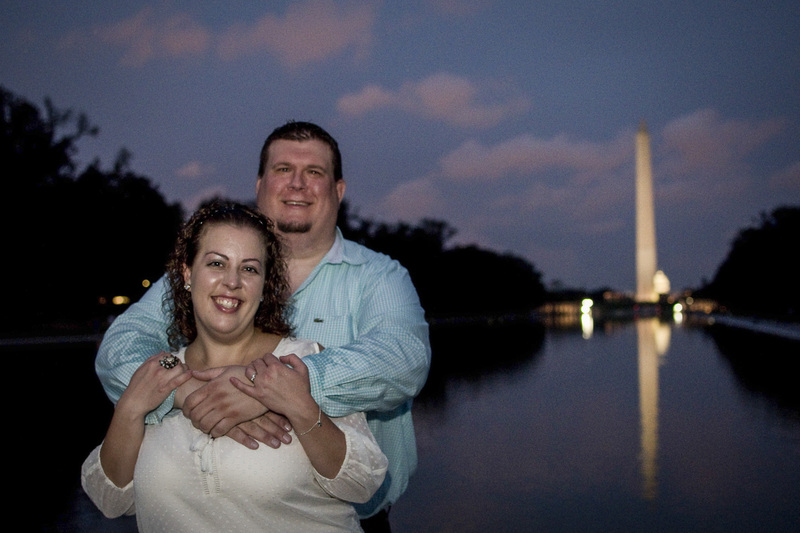 For their proposal, Scott had a guitarist playing Zac Brown Band’s Whatever It Is as they approached the DC War Memorial and he got down on one knee. Following the proposal, Scott surprised Carolyn by taking her to their favorite restaurant in Old Town Alexandria. Scott managed to have Carolyn’s parents in town from NJ and her sisters in town from NY and Chicago to surprise her along with friends and coworkers. 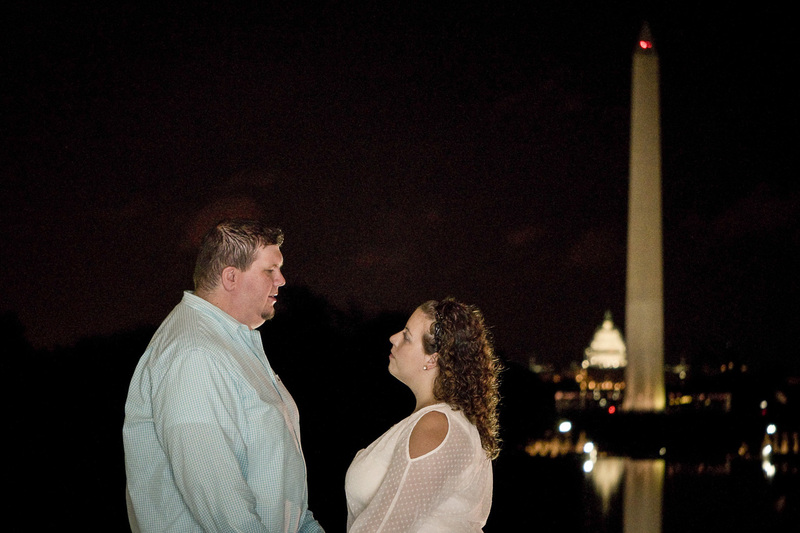 Chat with a proposal expert to find out how you can plan your own romantic DC engagement! For a free consultation with a Paparazzi Proposals engagement concierge, call us at 888-287-5120 or submit your request and a team member will get in touch! Every romantic marriage proposal has an incredible beginning, and Scott and Carolyn shared theirs with us! 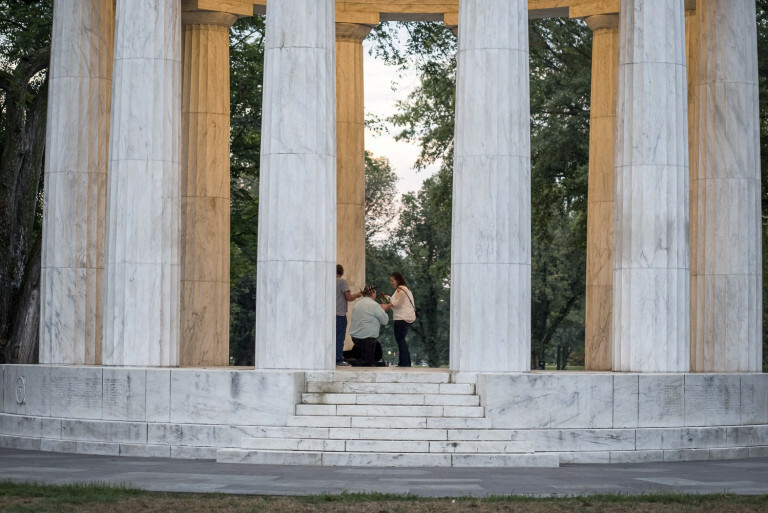 But before you read up on their sweet romance, browse our ultimate guide to proposing in DC for inspiration! Scott and Carolyn met at work. Carolyn graduated nursing school in May 2012 and moved to the DC area in July to start working at the Washington Regional Transplant Community. Scott had been working at WRTC for three years prior. The two had an instant conversation starter with such similar last names! On Carolyn’s first day at work, she carried around her black monogrammed backpack all day and seemingly never put it down. Scott jokes he started dating Carolyn as he was destined to find out what was in that backpack she never took off! As soon as they started chatting, Scott was instantly attracted to Carolyn’s passion for her family and her career. Initially, Carolyn was hesitant to date anyone at work so she dismissed Scott’s offers to help her change her headlight. Despite her stubborn personality, Carolyn eventually gave in to Scott’s offers and Scott took her to the Hyundai dealership to get her car fixed after work one afternoon. While her car was being repaired, they went to Top Golf in Alexandria, VA (they still debate who won). Carolyn couldn’t deny Scott’s genuine kind and caring personality, which was unlike anyone she’s ever met. Carolyn knew Scott was the one when he drove from DC to NJ three times in a week when Carolyn had back surgery. 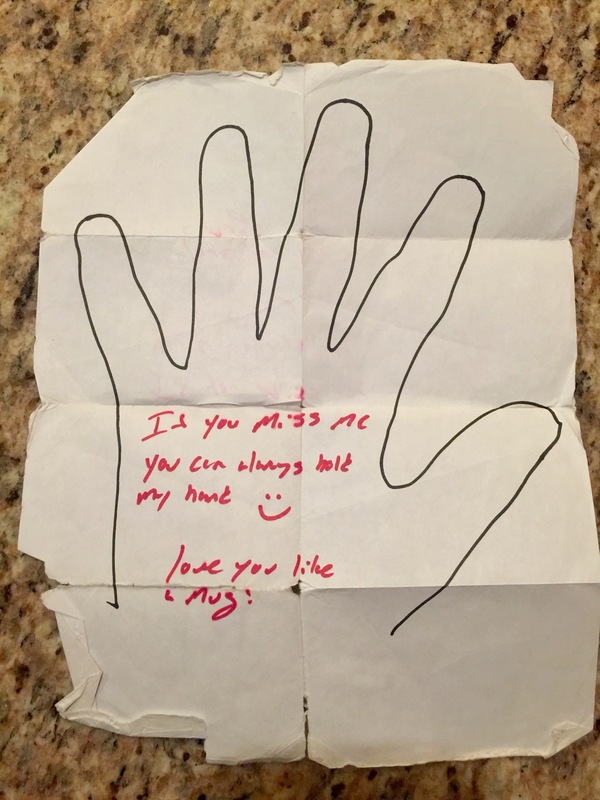 Since they always loved to hold hands when they were together, on one of the trips during that week, Scott left Carolyn a note which had the outline of his hand traced and inside his tracing Scott wrote, “If you miss me, you can always hold my hand.” Carolyn still carries this note with her in her wallet, almost three years later. The adorable note that Scott gave to Carolyn when she had to travel for surgery. She still carries it around to this day!Scott knew Carolyn was the one when he dropped her off at Union Station to take a train home to NJ for Thanksgiving and she began to cry as they said their goodbyes. The ring is made up of 3 diamonds- the largest diamond belonged to Scott’s great grandmother and the two diamonds on either side of the center diamond were his grandmother’s. Scott had previously made the diamond from his mom’s engagement ring (she passed away of breast cancer when Scott was in high school) into a necklace which Carolyn received for their second anniversary. Scott worked with King’s Jewelry in Old Town Alexandria, VA to make the necklace so he used them as well to design a setting for the ring. 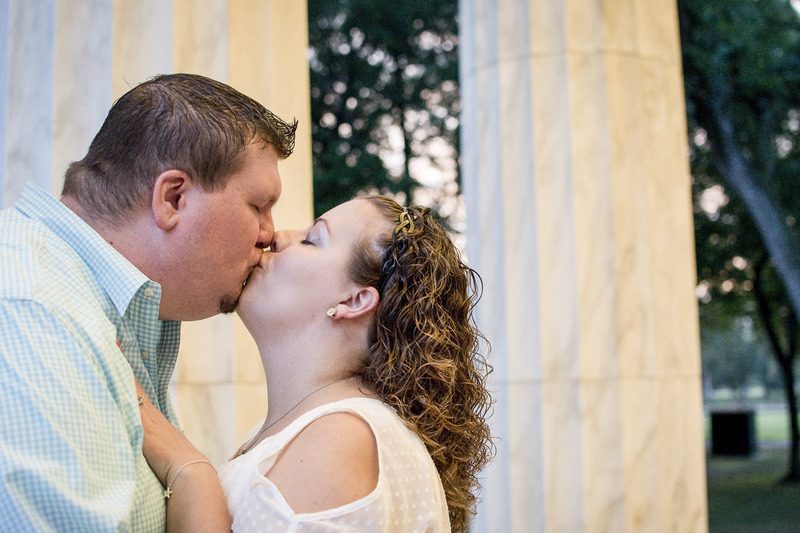 When Scott decided he wanted to propose, he knew it had to have something to do with where their love story began. Scott knew Scott grew up between Long Island, NY and suburban Maryland and Carolyn grew up in a small New Jersey beach town. 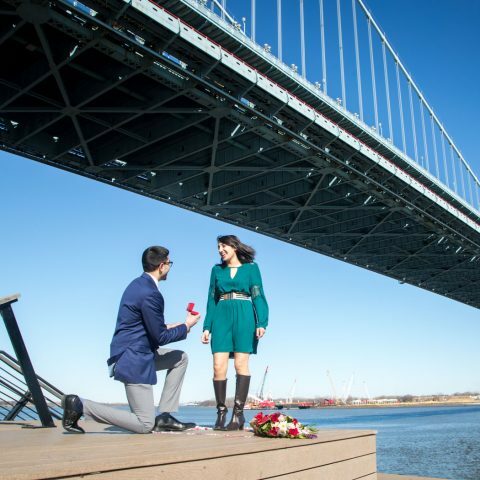 Scott always knew Carolyn dreamed of a wedding at the Jersey shore so he figured the proposal should revolve around their ties to the District. 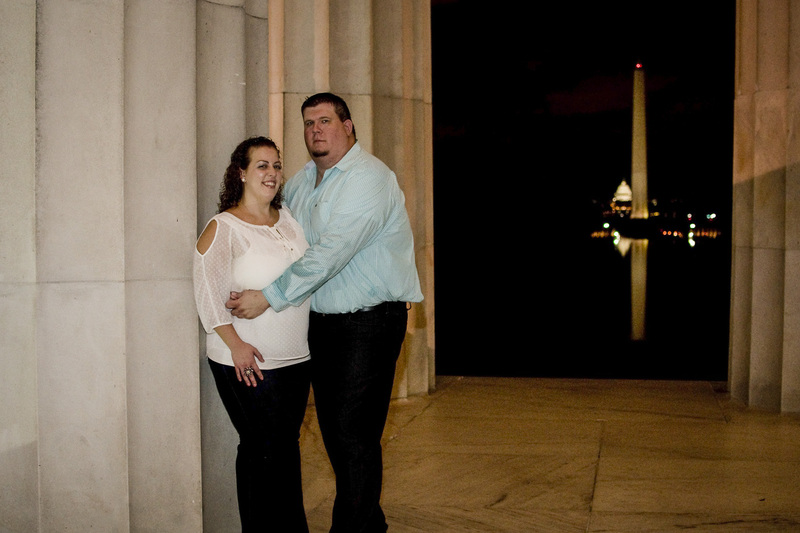 Scott chose the DC War Memorial monument hoping it would be a quieter, more romantic setting compared to the more frequented monuments. And Paparazzi Proposals help him plan and capture that picture-perfect proposal moment! 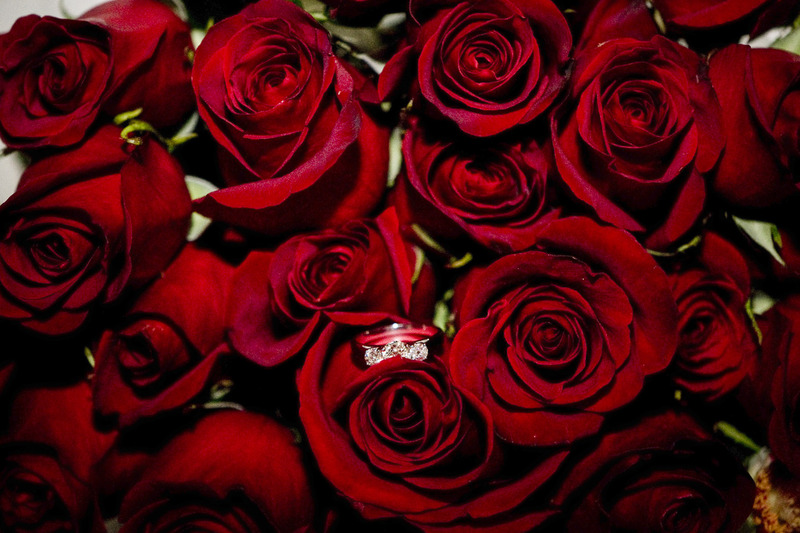 We took the stress out of his gorgeous and thoughtful D.C. marriage proposal by handling all the logistics– coordinating everything from the musician to the two dozen red roses that Scott handed Carolyn after he popped the question! View more photos from their proposal day, here. 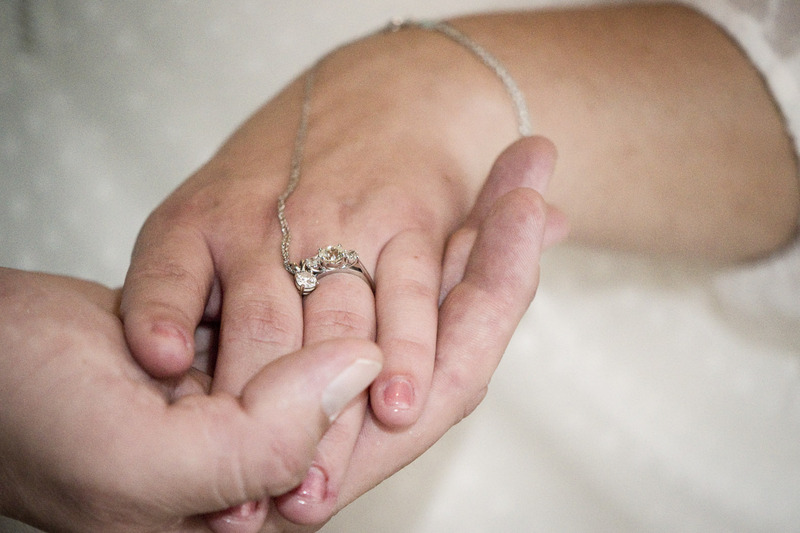 Ready to have us help you pull off your dream proposal? Contact us today for a free consultation with one of our proposal experts. With hundreds of proposals shot nationwide, there’s no idea we haven’t heard of, or proposal we haven’t photographed! We take the stress out of planning and capturing your engagement with surprise engagement photography, so that the two of you can relive the incredible moment time and again.